1st place with the award of $150 goes to Mr. Kurnia Hardiansyah from Indonesia. 2nd place with the award of $100 goes to Mr. Ahlaludin from Indonesia. 3rd place with the award of $75 goes to Mr. Agus Hendriyanto from Indonesia. 4th place with the award of $50 goes to Mr. Galoeh Otomo from Indonesia. 5th place with the award of $25 goes to Ms. Umu Hikmatin, Se.MM from Indonesia. cTrader Weekly demo contest is a risk-free opportunity for those who want to test their trading skills in a more competitive environment. By taking part in OctaFX cTrader Weekly demo contest, you learn on the go while competing with other contestants. cTrader Weekly demo contest is also an exciting possibility to win a valuable prize without putting your real money at stake. Join today to take part in the next Round that starts in less than 10 days! 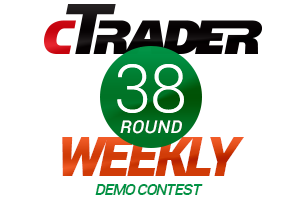 OctaFX cTrader Weekly demo contest: bringing you an opportunity to win $150! The results of the recent Round 48 of OctaFX Champion demo contest are announced, and it’s high time to welcome the traders who were persistent enough to get the prizes. OctaFX would like to inform you of the changes in the trading schedule. From March 13, 2016 the USA moves to summer time. European countries change to summer time 2 weeks later, March 27, 2016. In this connection, we alter trading schedule on Fridays: the trading closes at 23:00 EET (Server time).